With the current trend in making cars as efficient as possible with figures of 60+mpg now getting to be the norm among new cars it’s hard to believe that over 30 years ago a BMW topped out at 88mpg. 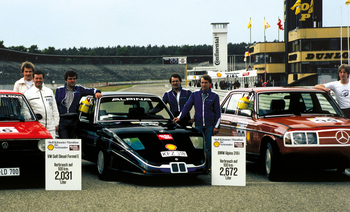 A competition was staged in 1981 by Auto Motor Sport and Shell for teams to go head to head for the most fuel efficient car over 1km. In total 120 team put cars forward, the most striking though was a BMW E21 318i tuner Alpina gave one hell of a nose job to. 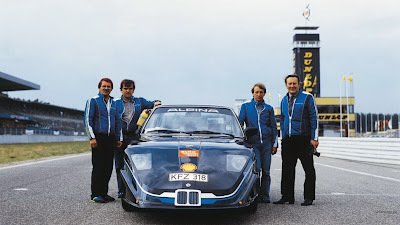 That was not the only changes made to the car to make it that efficient, it was also running only on 2 cylinders, power was only sent to a single wheel and the fuel was cooled on the way to the engine to give a bigger bang. 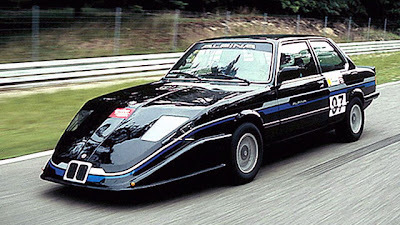 It did the job though as it went on to win its class with that average of 88mpg. I suppose it puts in to perspective how forward looking this was with a number of modern “green” cars that have automatic closing vents to increase aerodynamics and some larger engines that shut off banks of cylinders to save fuel when cruising. TOP GERMAN ENGINEERING!! I have a Volkswagen Golf. Ieven learned how to drive in one! The Germans make some good beer too! Two things the Germans are good at, making cars and brewing beer!